Tomb Raider is back!!!! The world's first pixelated pin up girl Lara Croft has a brand new game coming out so you know they had to make a on of other stuff to get all the drooling nerd boys to fork over their cash. 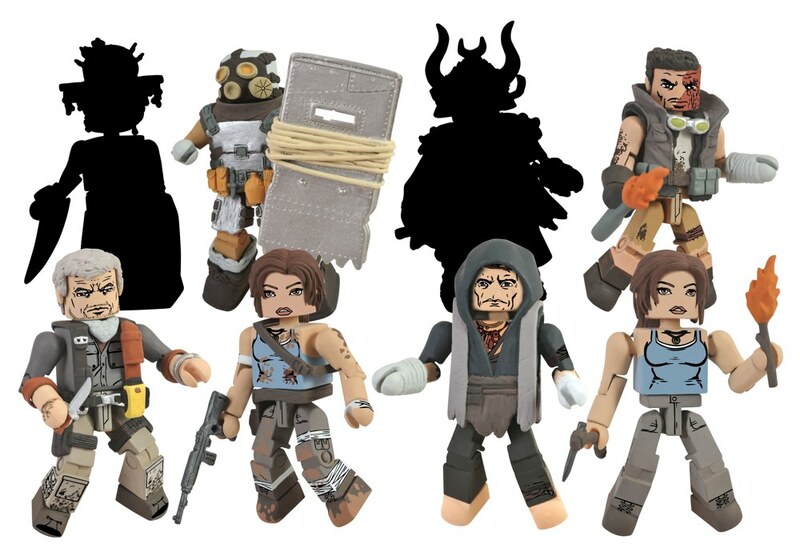 Diamond Select Toys will b releasing a new line of their popular Mini Mates figures featuring the fetching treasure hunter along with other characters from the game. Looks like two of them are still super top secret, so you'll either have to get the game or be patient until the figures release this Summer.